Business hours: 8am to 5pm daily. DIM sum literally means “touching the heart” and this denotes the amount of effort put into making these bite-sized delights, as well as the happiness they can bring to those savouring them. Variety is one of dim sum’s most pleasing qualities and if you are a fan, Restoran Ming Tai Hin could be your choice. The simple restaurant offers dim sum originating from both northern and southern regions of China, local specials and the chef’s own creations. 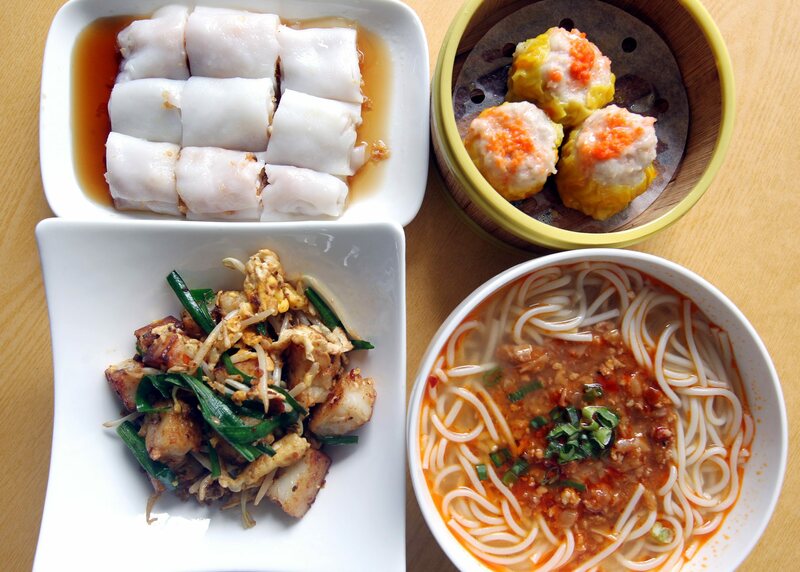 (Clockwise from bottom left) Stir-fried radish cake, prawn rice roll with fried beancurd skin, steamed siew mai and Guilin mee suah. Having learned since young from old-school cooks, executive chef Cheng Weng Keong can dish out traditional dim sum that are almost “extinct” because many restaurants have stopped serving these items since they are too tedious to make. Cheng has 20 years of experience under his belt, including working at five-star hotels so customers can enjoy five-star quality dim sum at an affordable price. “Dim sum may be a small piece of food to some but making it is not easy to master. It may take days and even up to one month to learn how to make a prawn dumpling. “In spite of that, I think the high level of difficulty involved in mastering it, is exactly the reason I fell in love with it,” he said. Apart from dim sum, the restaurant’s menu, boasting about 60 items, also includes rice, porridge and noodle dishes as well as desserts. The Signature Radish Puff (top pic) is a must-try as it can hardly be found anywhere else. Stir-fried, well-flavoured radish shreds are wrapped in a flaky crust that crumbles in the mouth. This deep-fried dumpling involves painstaking preparation that many chefs shy away from. 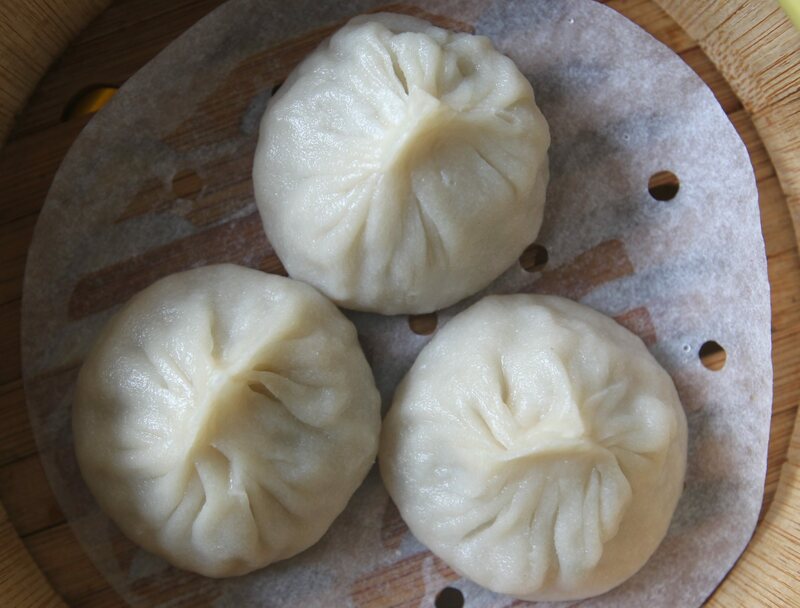 Beijing Pork Dumpling and Shanghai Xiao Long Bao are some examples of dim sum from the north. The former’s main appeal is a red vinegar-based sauce prepared with five types of spices. The sauce lends an appetising tangy coat to the firm-textured dumplings. Dripping with flavour: Clear but flavourful soup oozes out from the Xiao Long Bao (Shanghainese dumplings). Shanghai Xiao Long Bao meets the requirements of having a spoonful of soup and juicy minced meat wrapped in a thin skin. Diners are treated to a wide array of Hong Kong and Guangzhou dim sum, even salted fish bun inspired by a recent TV serial. The staple siew mai (prawn and pork dumpling) comes in three varieties and the best thing is that diners can choose to have them served in the same basket. Bamboo Charcoal Custard Bun is another gem here. Bamboo charcoal lends a light smoky aroma to it while the sweet-savoury golden custard and egg-yolk filling is smooth and intense. 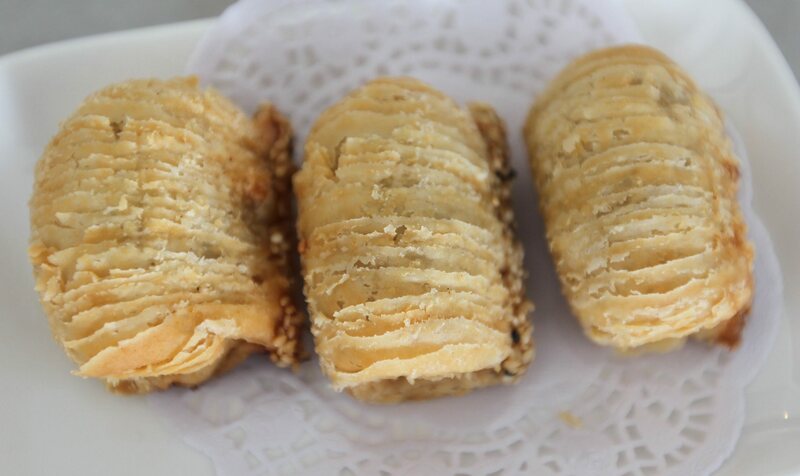 The normal chee cheong fun (rice roll) is given a twist as it is filled with deep-fried beancurd skin that is paper-thin and crispy. Vietnamese prawn roll is another crispy delight for prawn lovers. The rice dishes are served in bamboo for added aroma. Noodle dishes, mostly Shanghai ramen, are served with pork bone and halibut that is clear and flavourful. There are even items on the menu to make the ladies feel pampered. Bird’s nest congee is normally consumed for better complexion. There is also osmanthus jelly that is said to be a much-loved imperial delight.